I have a very special place in my heart for painting Easter Eggs. A big part of that is because of the fond memories I have of painting them with my siblings and cousins in the home of my grandma every year. My grandpa was a member of the Lion’s Club and they put on the town’s Easter Egg hunt every spring. So every spring my grandma would boil up dozens and dozens and dozens of eggs. I’m telling you we had more than I could even count! We’d drive over to her little house and cram inside her kitchen. It was always steamed up from all the boiling. And of course, it smelled of vinegar because that’s the only way we dyed Easter Eggs back then! 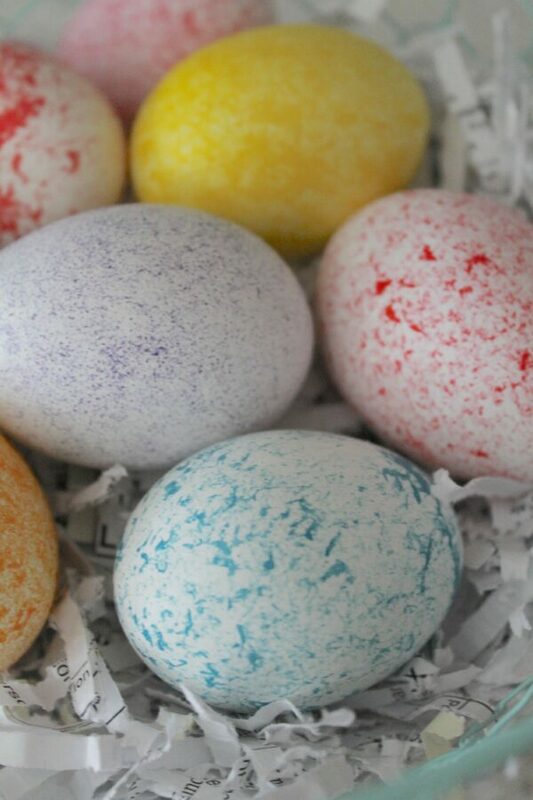 We’d spend so much time and have so much fun dipping and dyeing all those eggs. And I can’t tell you how exciting it was when later on in the day we’d participate in the big Easter Egg hunt at the park and get lucky enough to find one of our own eggs! Still, to this day, when springtime rolls around I can practically the feel of steam in the kitchen and the sharp smell of vinegar. Dyeing Easter Eggs is messy!!! And throughout the 14 years I’ve been a parent I feel like I’ve tried every method under the sun to make it easier and less messy to get those darn eggs colored. From buying kits at the store that contain “No drip, no mess” plastic cups (hint – there was still a mess) to being desperate enough to buy fake eggs one year that were covered in chalkboard paint and then using chalk to decorate them (fun idea but bad when all the chalk rubs off and your children collect a bunch of plain black eggs in their bucket) I’ve tried it all. And while they’ve all been fun or at least interesting to try and many have been ok or decent enough to do again I hadn’t found anything I’d really loved. 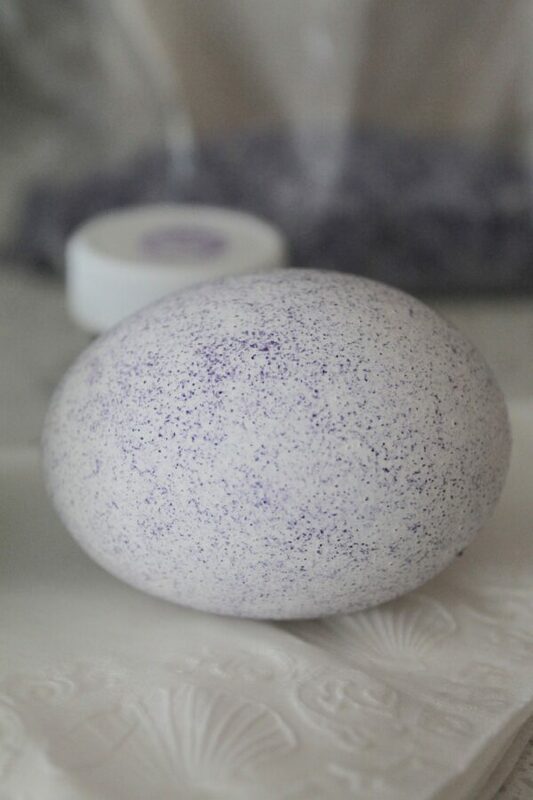 Let me introduce you to Rice Painted Easter Eggs! They are so simple, so fun, and SO NOT MESSY. 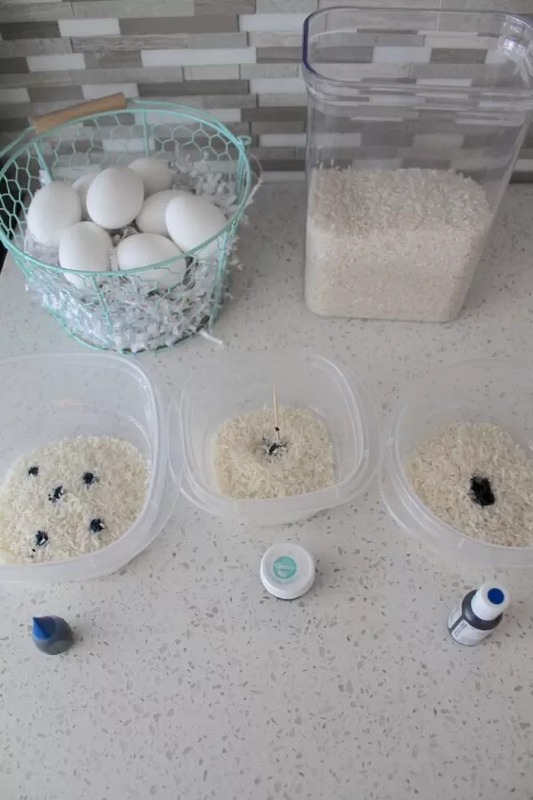 Everyone in the family is sure to love this technique for dyeing Easter Eggs. I can’t wait to show you how it’s done. 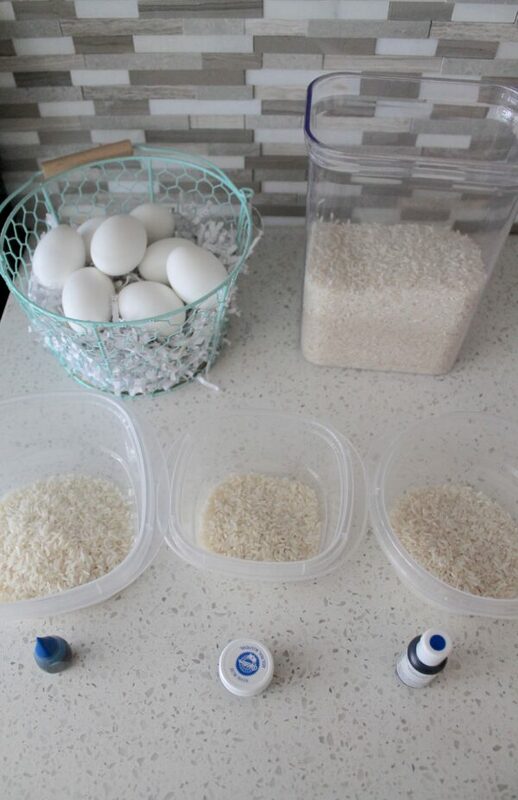 First, you’ll need to pour 1/2 a cup of dry rice into a plastic container. You can decide how many containers you want to use depending on how many colors you’ll be using or how many kids (or adults!) will be dyeing the eggs. Second, add in your food coloring. Helpful hint: You can use different types of food coloring, but we’ve already tested a few out for you. So I’ll let you know our results as I continue to help you out with this whole process. 1)For the liquid food coloring, we added in about five drops to the dry rice. 2) For the food coloring paste, we scooped a tiny portion out using a toothpick. 3) And for the food coloring gel, we added in a small amount in, roughly 1/2 teaspoon. Third, mix up the food coloring and rice until it’s distributed evenly. The rice will be wet with the dye. 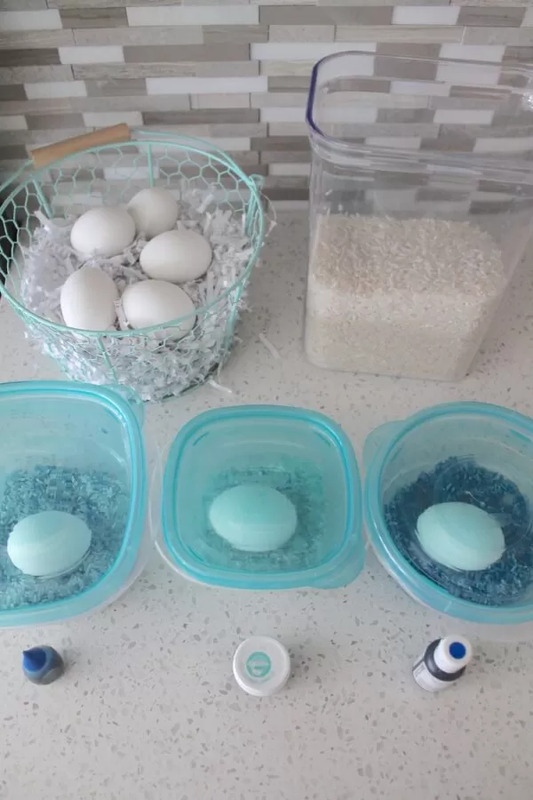 Fourth, place a hard-boiled egg in each plastic container and place a lid on top. Next, one of the best parts, start shaking your egg around! Of course, you’ll want to be careful not to crack the egg, but give it enough “oomph” that the rice moves around the egg and colors it! The liquid food coloring worked well! It colored the eggs in fun little patterns. The food paste worked so well also! It speckled the eggs pretty much to perfection. The food gel surprised us. It looked great in the rice and I guess it wanted to stay there because the egg barely had a spot on it! Needless to say, we don’t recommend this one! Place the half cup of rice in the plastic bag. Add a dab of the food paste into the bag and mix it up. Add in the egg and squish the rice around it. What we found was that it worked pretty well! 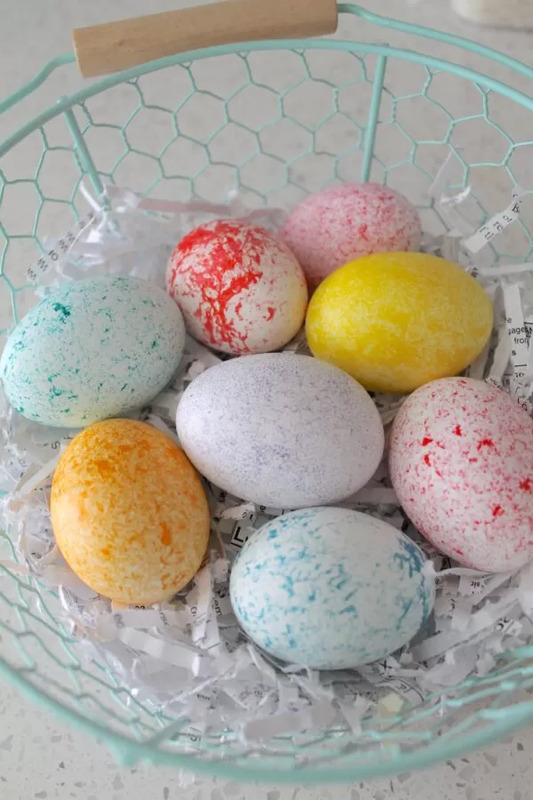 We still like the way the egg in the Tupperware came out more, but if you are in a pinch you can absolutely use a ziplock bag and still have all of your Easter Eggs turn out great! 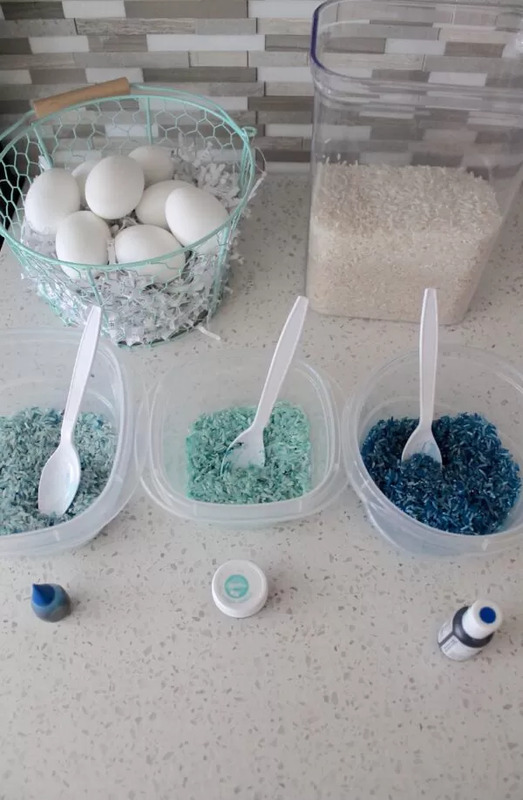 We just loved this fun (and super clean) way to color Easter Eggs and we know that you are your kids will love it too! Let us know in the comments below what your favorite way to dye Easter Eggs is! And be sure to tag us on social media when you try these Rice Painted Easter Eggs out!